COLUMBUS — Lt. Gov. Mary Taylor says she would end Medicaid expansion in Ohio if elected to succeed Gov. John Kasich, a fellow Republican who has championed the expansion. While campaigning Monday in Cleveland, Taylor said the expansion of the program serving children, the poor and the disabled is financially unsustainable. Cleveland.com reports Taylor said Medicaid should return to a mission of serving the needy while incentivizing work. Federal health care law signed by then-President Barack Obama allowed states to choose to get federal funding to expand Medicaid enrollment to anyone at or below 138 percent of the poverty line. Over 700,000 low-income adults are now covered under Ohio’s expansion. The Columbus Dispatch reports that a Kasich spokesman wouldn’t say whether Taylor’s Medicaid comments affect the governor’s support for her. COLUMBUS — Protesters upset over a violent police arrest delayed a Columbus city council meeting for nearly two hours as they demanded answers. At issue is the Sept. 1 arrest of Timothy Davis inside a Columbus convenience store. Cellphone video of the arrest shows officers repeatedly punching and kicking Davis, who was wanted on a warrant from a year earlier alleging he assaulted an officer. The Columbus Dispatch reports more than 100 people filled Columbus city council chambers Monday night. The protesters demanded the firing of officers involved in the arrest along with Police Chief Kim Jacobs. Democratic Council President Zachary Klein told the newspaper he has confidence in Jacobs and the police but there’s always room for growth. COLUMBUS — Animal rights advocates wanting some dog breeders in Ohio to meet additional animal care standards have won approval to move forward in their efforts. 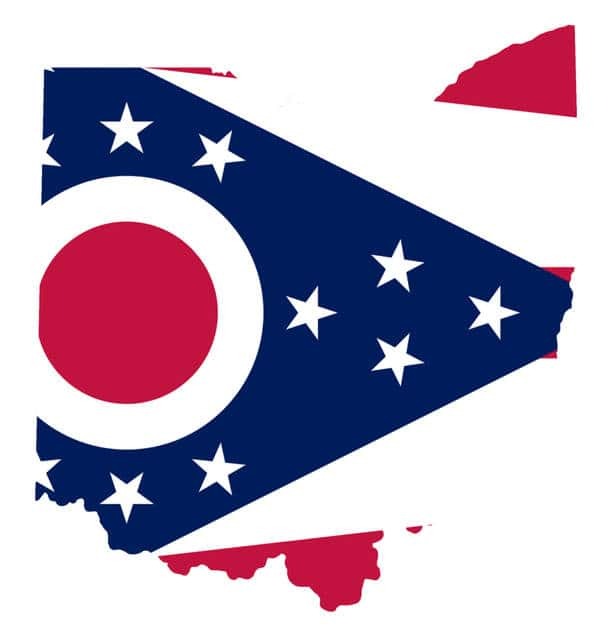 State Attorney General Mike DeWine has certified the advocates’ petition summary for a ballot proposal requiring dog breeders with eight or more unspayed females and annual sales of more than 15 dogs to meet certain standards. DeWine called the summary a “fair and truthful” statement of the proposal entitled The Ohio Puppy Mill Prevention Amendment. He also certified the petition to amend Ohio’s Constitution as including the necessary 1,000 valid signatures from registered voters. The next step is for the state ballot board to determine if the amendment contains a single issue or multiple issues. Petitioners must collect the required number of signatures for each issue. AKRON — The owner of an Ohio home where a fire killed two adults and two girls is settling a lawsuit claiming she’s liable because the rental property lacked smoke detectors. Cleveland.com reports owner Joni Laidig and her insurer agreed to pay $360,000 to settle the suit over the December fire in Akron. That’s the sum of $72,000 payments to the estates of the four who died and to one survivor. The site says Laidig’s attorney didn’t return a call about the settlement. Officials determined that unattended food on a gas stove caused the fire. It killed 36-year-old Omar Riley; 33-year-old Shirley Wallis; and two sisters, 9-year-old Aniyla Riley and 8-year-old Shanice Riley. Their estates claim the stove was defective in a separate, pending lawsuit against General Electric, which denies those allegations. AKRON — Police say an Ohio man has been arrested after he shot his 2-year-old daughter in the head while trying to unload his handgun. Akron police said Monday that the 27-year-old is being held in the Summit County jail on a charge of felony child endangering. His daughter remains hospitalized in critical condition after being shot on Saturday at their Akron home. Investigators say the man mistakenly fired the gun, believing it was empty, and a bullet traveled through a staircase into a bathroom, where it hit the girl. CINCINNATI — A judge in Cincinnati says he needs more information before sentencing a woman who was accused of falsely claiming her young son had terminal cancer, having his head shaved, fraudulently fundraising for him, and pretending to be a doctor. The Cincinnati Enquirer reports 40-year-old Monika Burgett’s sentencing is delayed until at least November because a Hamilton County judge wants more details about the counseling that lawyers say Burgett needs. Burgett says she’s “a good mom” who wouldn’t harm her children. She says she tried therapy to deal with repeatedly misrepresenting herself. She could face jail time after being convicted last month of misdemeanor child endangering and felony telecommunications fraud. Testimony indicated her now-5-year-old son has a genetic condition that causes benign growths. He’s living with his father in Austin, Texas.